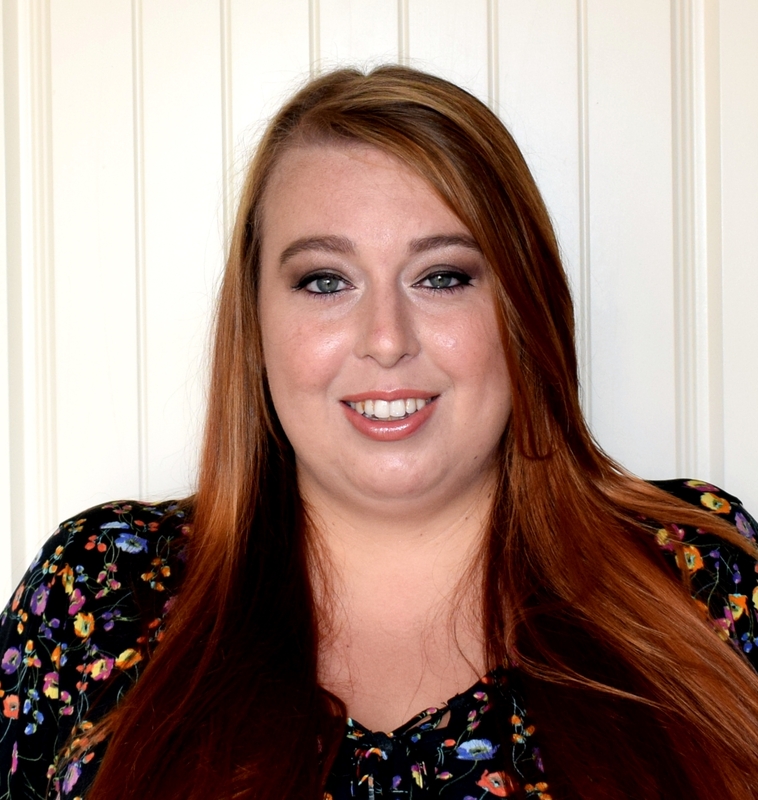 Something special is a program that is a firm favourite with Evelyn. She loves all of the different characters Justin portrays, especially Mr Tumble who always makes her giggle. As a parent I really like the fact that throughout the program Evelyn started picking up some basic Makaton signs that she actually used day to day when she was smaller. So when we were recently asked if we would like to review some toys from the Something Special range from Golden Bear Toys we jumped at the chance, knowing just how much Evelyn would love them. 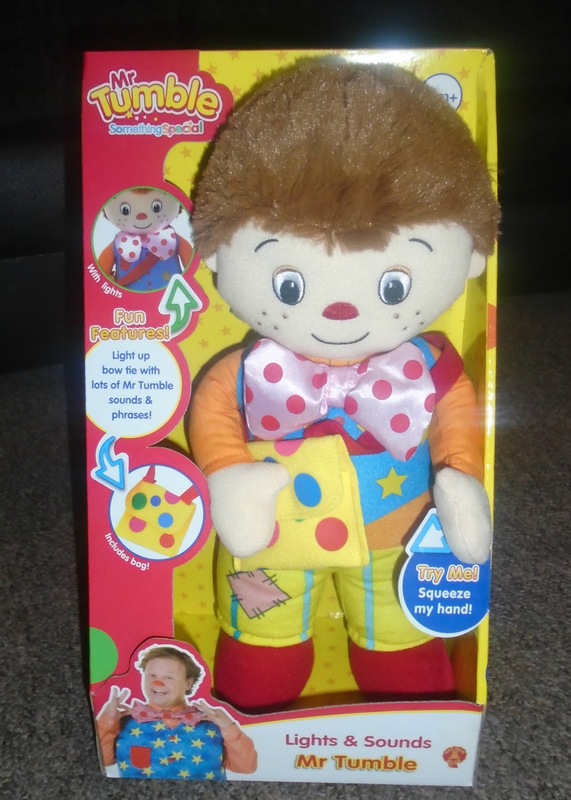 The first toy we received is the Lights and Sounds Mr Tumble. 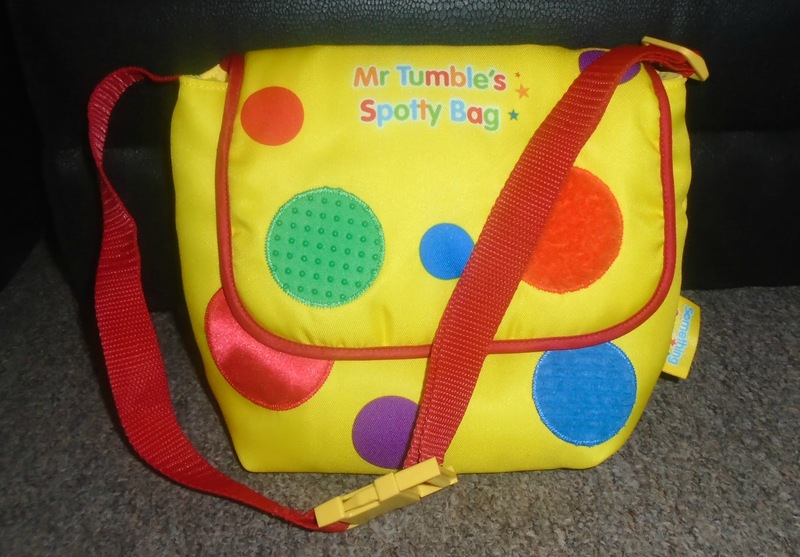 He is a great size who really resembles the TV version of Mr Tumble, even coming with his own matching spotty bag which opens and closes! What makes this toy extra special though is that if you press his hand Mr Tumble says some common phrases and sounds along with a very funny laugh. 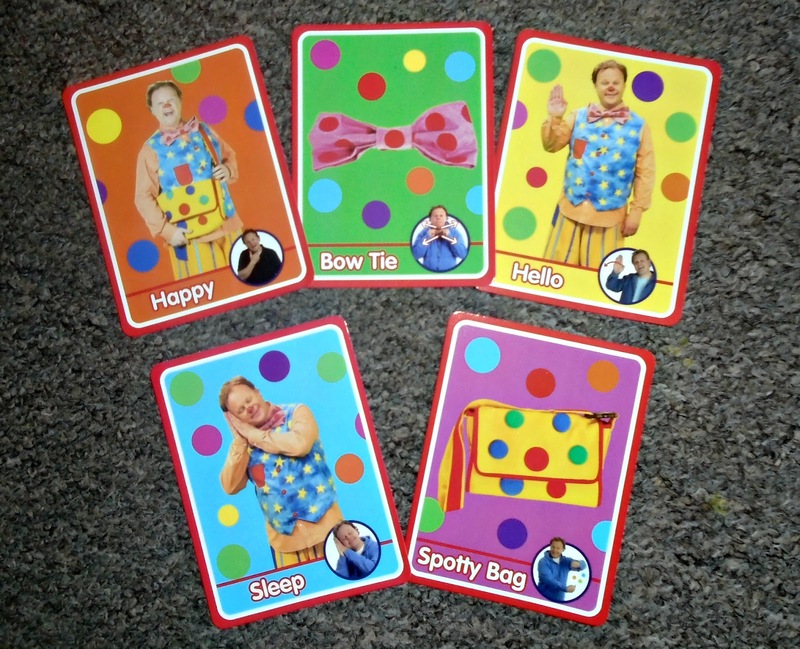 That's not all though, when you press Mr Tumble hand as well as talking his bow tie lights up! Evelyn is besotted with the Lights and Sounds Mr Tumble and takes him everywhere with her, even storing little toys in the spotty bag. I really like the fact that his large non slip feet mean Mr Tumble can stand on his own. 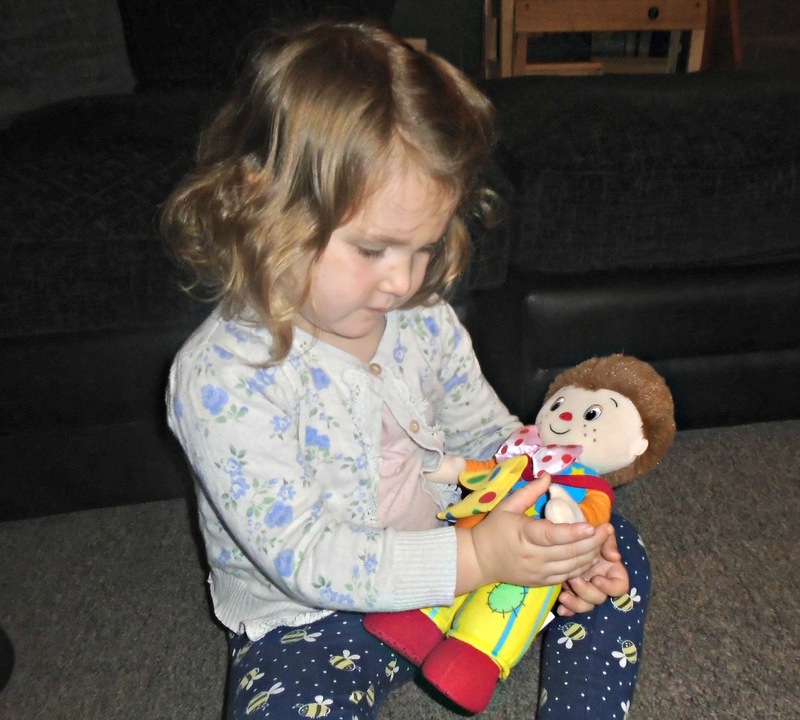 Mr Tumble has also become a firm favourite for nap time companion as she loves to stroke his super soft hair. We also received Mr Tumbles Spotty Bag and I don't Evelyn could contain her excitement when she realised she actually had her very own spotty bag to store all her favourite things. Evelyn is 2 and the bag was a great size for her, it does have an adjustable strap though if you need it slightly longer or shorter. The bag has lots of space inside and Evelyn loves using it to collect special things we find when out on our walks and the velcro fastening ensures everything stays inside. 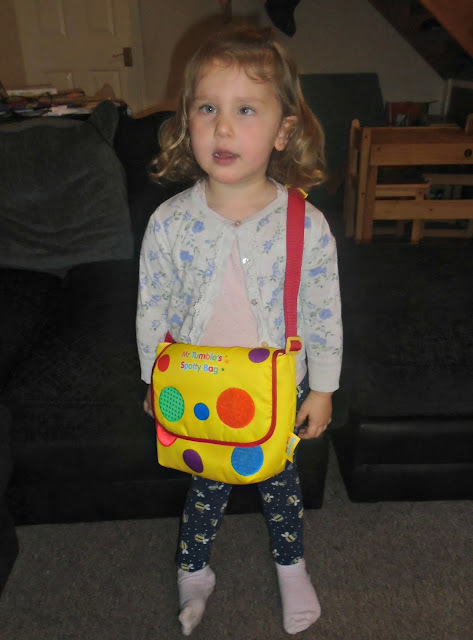 The bag itself is made with lovely bright fabric and has 4 different textured spots on the front - green satin, orange velvet, red plush and blue corduroy which Evelyn loves feeling. Mr Tumbles spotty bag also comes with 5 brightly coloured cards featuring Makaton signs to help establish recognition of some common words. I loved this addition and we have been using them regularly and Evelyn loves having a go at using the signs. 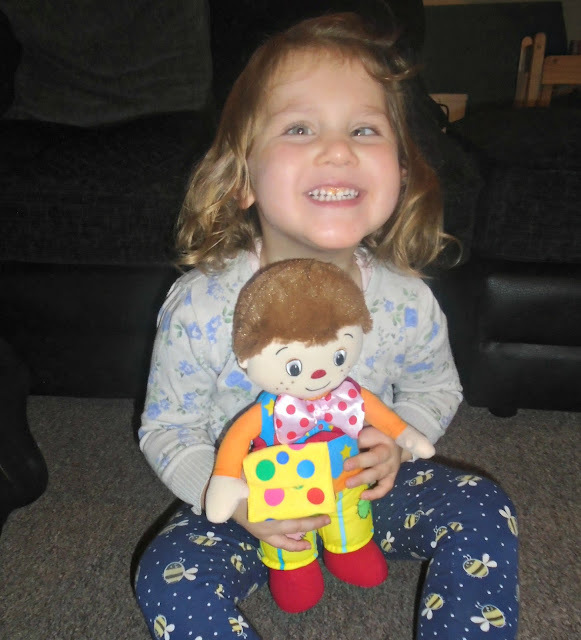 We have loved trying out some of the toys from the Mr Tumble range and they have a big thumbs up from us. They seem well made and sturdy and the bright colours and different textures are great for kids and really grab their attention. If you want to check out more toys from the Something Special range you can find the full range over on the Golden Bear Toys website. 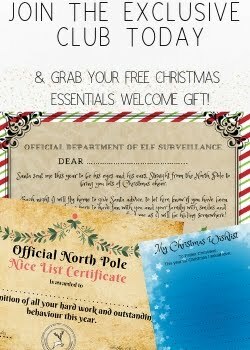 Do your little ones like Mr Tumble?